THE BOOK OR BOOKS OF THE WEEK OR MAYBE BI WEEKLY, WHO KNOWS? So I'll kick start this new and exciting (ahem) feature off with a series of books I've just recently got into. It's a series of novels set in WW2. We are transported to the East Front and follow a squad of Axis soldiers who come from different Axis nations plus one Hiwi (Russian volunteer). The author does a decent job in convincing the reader that this set up could possibly exist under the circumstances they find themselves in. 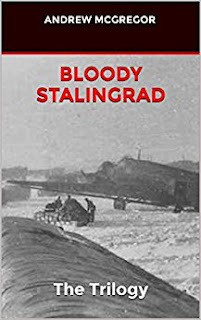 The first book I bought was the paperback omnibus of his first set of novels, Bloody Stalingrad, that follow the squad during Stalingrad and the subsequent encirclement. 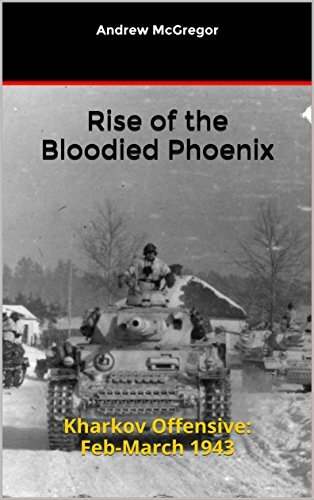 Then as I was given a Kindle Fire for Xmas I went and bought the next omnibus, Rise of the Bloody Phoenix, which consisted of the next two novels this time focussing on the 2nd battle of Kharkov. 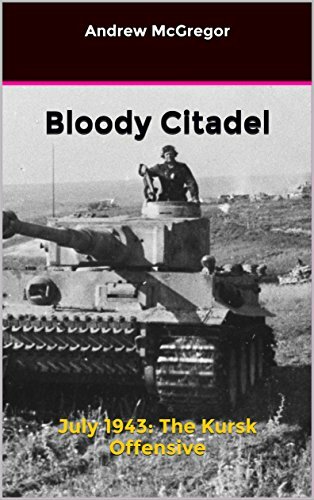 Also waiting in the wings is the next book, Bloody Citadel, which is yet to be published which appears to centre around Kursk. I'm normally pretty dubious about all these self published novels you now find on Amazon. Especially historical novels were far to often you'll come across glaring historical issues that make you throw the book away in disgust (this has happened on more than one occasion). However I'm obsessed over Stalingrad and certainly didn't want to miss out on a possible gem so I took a chance and bought the trilogy. Thankfully Andrew (the author) has done his research and it shows. Yes like many war novels liberties are taken and truths possibly stretched abit but I've not come across anything that has ruined the book or read any startlingly obvious historical errors (I see a book on sale that follows the SS in Stalingrad, that sort of thing annoys me). The author at times has a habit of being a touch repetitive and yes he isn't the most accomplished writer I've come across, however I can forgive him these minor indiscretions because he has done an excellent job in getting the reader invested in the main characters. You really do warm to them and want to spend time in their company, routing for them has they battle through the harsh winter conditions of the East Front. I actually can't think of many, what I'd consider, truly great war novels (The Red Horse is an epic tale of the Italian war experience, written by an Italian veteran of the East front. He has also wrote an account of his experiences during the retreat across the steppes). I can think of quiet a few really enjoyable war novels and even more absolutely dire ones. Andrews books easy sits in the really enjoyable category. It's a typical War novel in many respects and it doesn't profess to be anything else. 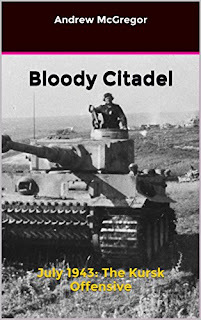 Maybe if you have little interest in the East front you may not view it in the same light as I do, however if you do have an interest and enjoy films like Cross of Iron (the book is very good aswell) then it wont disappoint. So if you own an E Reader go buy the books so far. Defiantly worth the money:) Even the paperback of the Stalingrad omnibus is worth the price, well I don't regret paying for it. So that concludes my BOOK OF THE WEEK OR MAYBE BI WEEKLEY HOPEFULLY COULD BE MONTHLY... feature. As you can see from the excellent title you may, possibly, see another team member pick a favourite book or two or maybe more if they pick a series....yeah OK I'll shut up..bye! STOP PRESS AGAIN: Below is a list of other recommended East Front fiction. In no particular order. Many thanks for your kind words regarding my books, I am very grateful for the feedback. I hope the further works meet with your approval and the story remains as realistic as you have stated. I have been a keen wargamer in the past...and used to thoroughly enjoy Russian Front scenarios, although a little irritated when they did not seem realistic through umpire intervention. Once again, thank you for your kind review, it is much appreciated and motivational. Welcome Andrew:) Pleased you found us.